Our children’s world revolves around using huge amounts of highly advanced accessible technology. Surrounded by computers and social media, children “chat” more than ever, but spend less and less time communicating. All the touch screens are making children lose touch… lose touch with their voices and their ability to connect with other human beings and discuss… converse… communicate. Part of my PhD and a project supported by the Goldsmith’s Award included developing a link with the University of California San Diego to explore how they support non-English speaking individuals and immigrants to achieve their central aim: succeed and be successful in education long term. After all, if California can achieve this with millions of individuals – surely I can succeed with my two-form entry school? Research shows it is not just the “types” of talk children hear that influence development. Because of media and the global nature of our society, children have access to a larger language resource bank than ever before. Children are therefore growing up with a rich and diverse linguistic repertoire. Instead, schools must build their academic framework on top of this… not in spite of it. 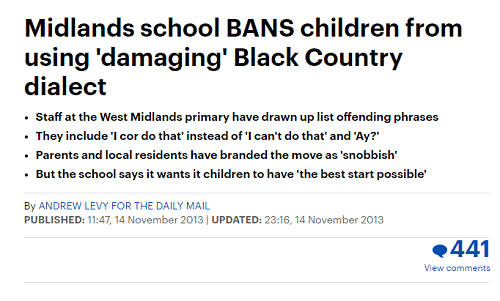 So we didn’t want to become a school who pigeon-holed children by only speaking to boys in one form and girls another, banning regional dialect or having purely “Stand English” classrooms. Instead, we wanted develop language mastery and put good quality talk at the heart of children’s every day educational diet. We built “talk boxes” filled with critical thinking stimuli/pictures, conversation starters, prompt cards, vocabulary board games, author and book questions. We put them in every classroom and paired children up in 2s and 4s. The premise being that, in the mornings or after lunch, they grab a fun, engaging activity and have conversations/talk/discuss/engage. We mix abilities and needs so all children engage with a variety of speech and hear high quality talk and language use. Children use small pocket books and Project X bookmarks to record any new, exciting and unfamiliar words they encounter or learn. The bookmarks then challenge themselves to investigate the meaning of the words or use them in conversation. We structure our English units around oral rehearsal so that we immerse children in texts and encourage them to read as both a reader and as a writer. However, the first phase of our English units involves oral rehearsal of the text using symbols and actions. This engages all children, especially the boys, as it focuses on active language and the creative exploration of grammar, punctuation and sentence structures. It is also a highly engaging way of using language, very good at engrossing boys whilst helping to build their language structures and learning. This develops the links from thought to speech, to pen and then to the written word, which develops individuals’ language fluency as a speaker, reader and writer. You can explore this idea in full using free Big Writing Adventures lessons on Oxford Owl for School, simply log in or register for free to access. These approaches teach children how to engage with one another, to use sentence starters to agree and disagree with opinions before sharing their own, work through problems by asking questions and talking through answers, encouraging vocabulary and repertoire development in a wide range of different contexts and much more. These approaches encourage children to think critically and engage with varied, diverse and interesting subject matter. With National Curriculum changes, schools spend more time rushing through content hoping just enough of it sticks to help us meet the expectations. Instead, in California, they “front load” lessons, investing time in oral rehearsal and CLOSE questioning/analysis. Before a child begins a text type, pupils have the opportunity – in 20-minute windows – to answer questions about the text, make suggestions for language choices and justify how their language choices change the nature and impact of the text. Pupils then learn the small paragraph/extract off by heart, learning symbols and sentence structures to help rehearse it. This develops children’s internal language structures before they begin studying/writing about the text type, meaning children’s English skills and learning are built on TALK and DISCUSSION. It strengthens their development and offers more children the opportunity to succeed in English lessons – developing confidence and fluency along the way. These initiatives have allowed us to create a culture of focused and structured language frameworks that secure long-term pupil speaking skills. 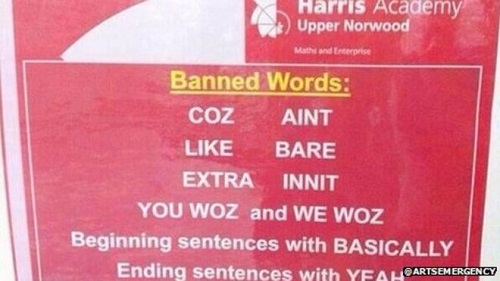 Visitors to our school always highlight the quality of our children’s spoken language. We like to think we have not taught them to speak this way, just allowed their natural innate ability to be unlocked and created an environment that allows it to flourish. As a current headteacher and Doctor of Research for University of Birmingham, Danny Doyle explains how he and the staff at Our Lady & St. Hubert’s have used innovative research, and collaborations with schools and institutions in California, to adapt the schools provision and curriculum to put “talk” at the heart of boys literary development and language learning.